Pine Box Entertainment and Pinnacle Entertainment Group are excited to announce that hot on the heels of There Comes a Reckoning fulfillment, we’ll be releasing Too Tough to Die in October of 2018. It’ll be available for pre-order in the future through Pinnacle, so keep an eye out for more details as we get closer. 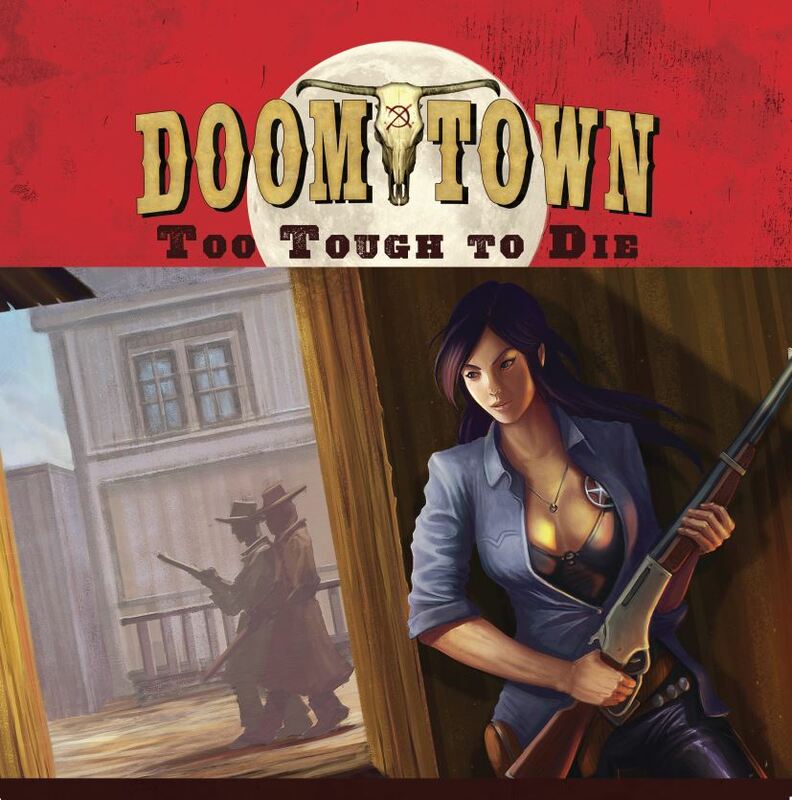 Too Tough to Die represents a significant departure from previous Doomtown releases – we’re leaving the Maze and exploring other historical and legendary Weird West locale. Tombstone, Arizona is a storied mining town full of rich stories and legendary characters. It contains 56 new cards, 4 copies of each card for a total haul of 224 cards. Recently launched is the Gomorra Dispatch – a site that houses all current Doomtown: Reloaded fiction. Including the first of new fiction to be released under Pine Box Entertainment. Too Tough To Die’s story will be posted directly to this site, which is linked at the top of this site. 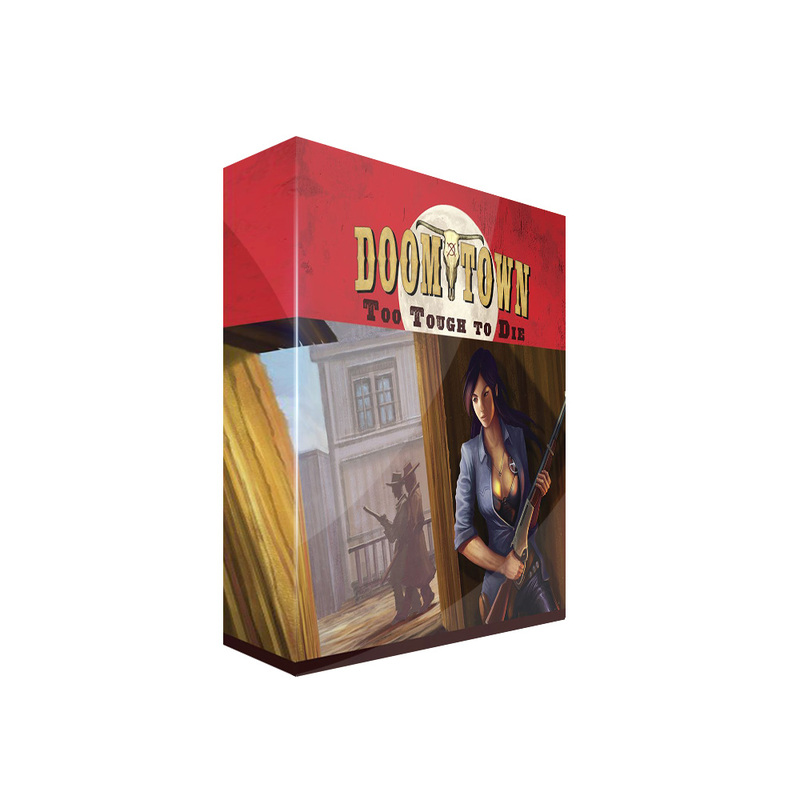 Too Tough to Die will also be the first release to feature the new Doomtown logo, which now mirrors the style of Deadlands: The Weird West. This is more than just a surface level change – we’re tweaking the way we treat each of the factions. Each icon will now represent an archetype instead of a specific faction. We’ll be introducing these changes to you over the next few weeks, discussing the design and flavor philosophies – as well as sharing cards. This week we introduce you to the “Outlaws”. Previously known as The Sloane Gang, Outlaws represents a much broader stroke of a classic archetype. These are the gangs, the train robbers, horse thieves, and generally shady types that roam the Weird West. They prefer to let their guns do the talking, and have no problem creating a scene or creatively using force to achieve their ends. Representing this archetype in Too Tough to Die, is the legendary Cowboy Gang. Signified by a red sash, they ruled Tombstone through force and fear. It is at the height of these tensions that Wendy and Lucy will arrive in the silver mining town. 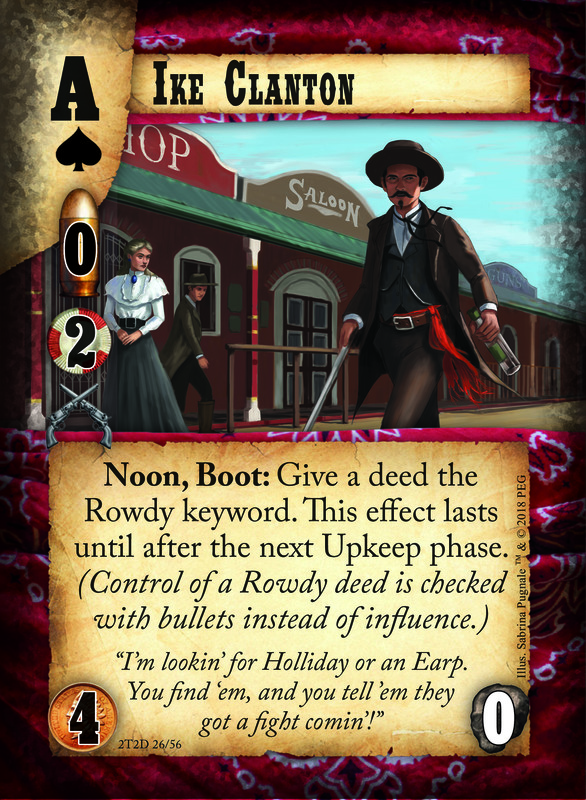 It seems appropriate that Ike Clanton (2T2D #26) should be one of our first official reveals for the newly dubbed faction. He features a new keyword for an existing ability. Rowdy – Control of this deed is checked with bullets instead of influence. Ike talks a big game, but is definitely not the best gunman that wears the sash. He’s awfully good at creating a scene and escalating conflicts past the point of civil conversation. Using his ability to give Rowdy to a deed can dramatically shift control of a vital deed. Catch Ike Clanton and other new faces in Too Tough To Die when it hits shelves in October of 2018!